I thought settling down for the winter in California would be nirvana. 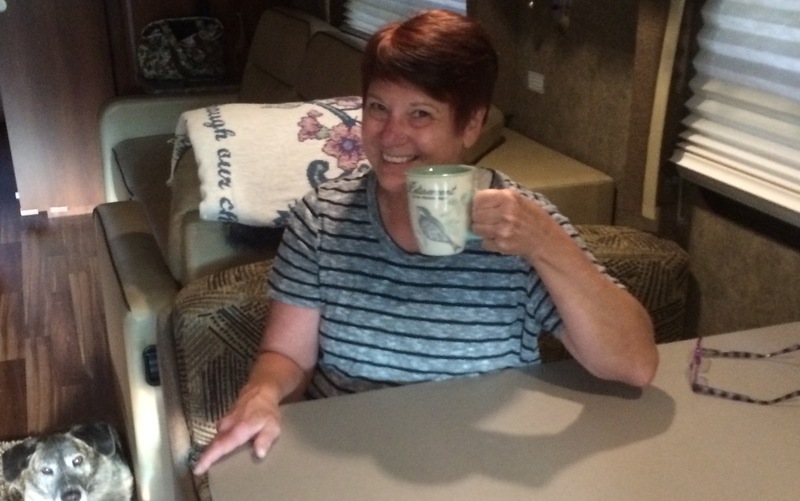 Jeff would find a part-time job, I would find a job or volunteer opportunities, we would get together with our neighbors for morning coffee and evening small talk… Since I retired I was on the go for a full 5 months actualizing this new phase of my life. We traveled from Ohio to Maine, back to Ohio again, headed west to Colorado and finally California. Along the way we connected and re-connected with family. Happiness, love and spending time together filled my spirit and kept me motivated. And then it all hit me! I was retired. Now, that in itself is not a bad thing. However, I had high hopes and expectations that Jeff would find a restaurant job quickly to supplement my monthly teacher pension. Then I could work around his schedule and find something fruitful to do. Unfortunately Lake Elsinore is not a city of fine dining and the three interviews that looked promising brought him nothing. McDonald’s and WalMart don’t look so bad anymore! It hasn’t even been a month and I find myself worrying about money. It’s expensive to travel constantly because filling an 80 gallon tank with gasoline adds up quickly when crossing the country. Settling in California from November through March is supposed to be the time to replenish the coffers allowing us to travel again. I am not living in the moment! I am worrying about the future and looking at a half-filled glass. Then 2 events happened that shook me out of this stupor: the ISIS attacks in Paris and Jeff’s little grandson severely sick with Kawasaki disease. There is no guarantee that we will always have a full glass. I am reminded to sip, savor, and save the moments I do have instead of wasting, worrying, and wanting away the part of life I can’t control. And that’s how I discovered that I hadn’t down-sized enough. 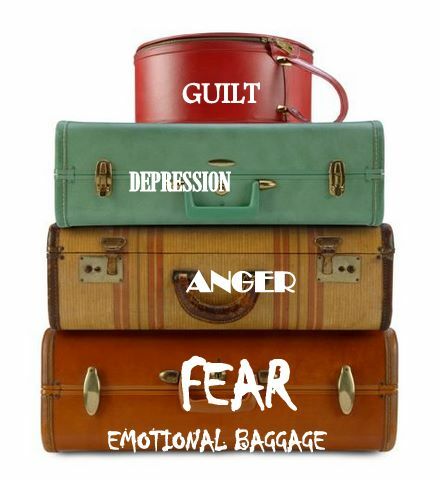 I still had those old suitcases full of my personal insecurities and inner turmoils. You can’t sell those at a yard sale or donate them to a good cause. My goal now is to clean out my baggage from time to time until it all fits into one snack-sized baggie. Such a great message Laurel – and a timely reminder for me, as well! Little did you know what a blessing you became to me on the last day of 2007! And then again on the last day of August 2015. Your good energy is an inspiration to me and I am thankful for having you in my life.